Is moving the best alternative? If so, where? Have other options been explored? Are close family members on board with a decision to sell? What is the best way to downsize a lifetime’s worth of possessions and family heirlooms? What are the tax-related implications of a sale? What effects might a sale have on future income? The financial, logistical and emotional issues involved in a move can be stressful for a family to navigate. Senior parents and their adult children may feel they are in unfamiliar waters as they deal with these questions. Seniors Real Estate Specialists (SRES) receive specialized education to help with lifestyle transitions involving downsizing, relocation, or selling the family home. What qualities make Us different? 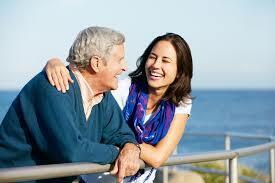 Has knowledge, experience and compassion in dealing with senior issues. Can suggest housing alternatives, including ones that may allow an aging parent to remain in the home instead of selling it. Can draw upon a network of other professionals focused on 50+ clients. Takes a no-pressure approach to the transaction and has a strong service orientation. Understands the emotional demands a sale can make on a senior, and tries to minimize them. Tailors the marketing of a home to the needs of an older client. Can interact easily with all generations, including seniors, adult children and caretakers. Step 1: Initial Consultation: We will set up an appointment to meet with you and your family. If needed, we will bring a Senior Living Advisor to discuss living and home care options. An action plan will be set in place to meet your needs and start the process of moving forward. Step 2: Getting Organized: A Senior Move Manager will work with you as little or as much as you need. From sorting and packing the home to complete clean out. They can also work with you to prepare, unpack and settle into your new home. Step 3: Preparing the Home For Sale: A Home Inspector will inspect your house and make recommendations regarding which improvements make sense for resale. We have a number of resources to help with repairs and improvements. Step 4: Selling the Home: We will customize a marketing plan to meet your needs. We have a systematic approach to selling the home quickly and for top dollar. We have partnered with amazing industry professionals who understand the emotional demands a sale can make on an older adult and work hard to minimize those demands. We offer a straightforward, all-inclusive approach, because selling a senior’s home is different.